Located on Aaron Aronov Dr between I-20/I-59 and US-11, Extra Space Storage serves residents of Fairfield, Westfield, Midfield, and more. Locals will recognize our facility in Flintridge Centre next to America's Best Inn & Suites south of The Home Depot. 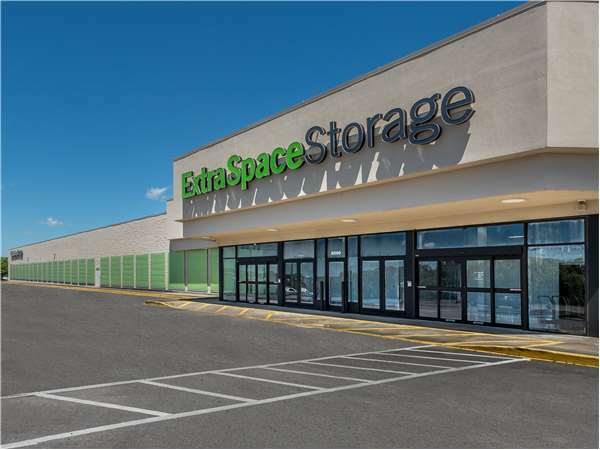 With a variety of storage units, climate-controlled storage, and exceptional security, Extra Space Storage on Aaron Aronov Dr has the convenient, affordable storage solution you're looking for in Fairfield! Our Fairfield storage facility offers unit sizes ranging from 25 square feet to 300+ square feet. For your convenience, we also have unit features like indoor access and first-floor access. To ensure the safety of our customers and their valuable belongings, Extra Space Storage utilizes advanced security measures like 24-hour video surveillance. It's the peace of mind you want! Keep temperature-sensitive items safe from extreme heat, cold, and humidity year-round inside one of our climate-controlled units. This amenity keeps your unit comfortably between 55 and 80 degrees at all times! Extra Space Storage can accommodate both residential and commercial storage needs. We're the storage partner you can trust! From our clean, secure, well-maintained facility to our friendly, professional staff, we work hard to provide high-quality, dependable self storage with exceptional customer service. 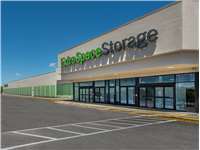 Contact us today to reserve your storage unit in Fairfield! I Highly recommend!!! Nice, clean, quick and easy! i have total confidence in the safety of my things being there! Drive south on I-20 W/I-59 S. Take Exit 118. Continue straight and merge onto Valley Rd. Turn left onto Aaron Aronov Dr/Weibel Dr. Turn left into Flintridge Centre. Our facility will be at the end of the strip on the left. Drive north on I-20 E/I-59 N. Take Exit 118. Keep right and merge onto E J Oliver Blvd. Turn right onto Bermans Way. Turn left onto Kelco Pl. Turn left into Flintridge Centre. Our facility will be at the end of the strip straight ahead. Drive northwest on By Williams Sr Dr. Pass Western Hills Mall and continue northwest. Continue onto Aaron Aronov Dr/Weibel Dr. Turn right into Flintridge Centre. Our facility will be at the end of the strip on the left. Drive northeast on Allison-Bonnett Memorial Dr. Turn right onto Aaron Aronov Dr/Weibel Dr. Turn left into Flintridge Centre. Our facility will be at the end of the strip on the left.